Find collection schedules for recycling, trash, large brush, yard trimmings and more. Recycle Right: What Goes in the Blue Bin? 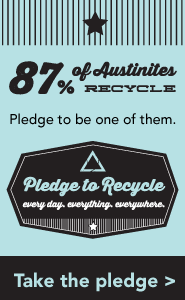 Austin has single stream recycling. See this site for guidance on what to put in your big blue bin or download a guide here. All Austin Public Library Branches, including the Austin History Center and Recycled Reads, have buckets for used household battery collection. Dozens of other drop-off sites are also listed on this page. The Central Library has a battery recycling drop-off bucket available on the 2nd floor near the 2nd Street exit. Find recycling advice and guidance, learn about recycling requirements and ordinances, download signs and educational materials, get the form for your annual recycling plan and more. This program facilitates business-to-business materials reuse. One company's waste can be another's raw material. Learn what becomes of the items you recycle and play the Super Sorter game. Find recycling guides for specific materials and tips for being eco-conscious. Learn how reducing, reusing and recycling can help you, our community and the environment by saving money, energy and natural resources. Read or listen to a KUT story about what happens after you place a can in your blue recycling bin. 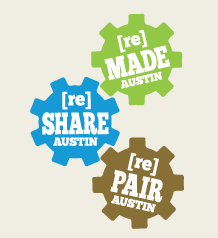 Find local businesses that share or repair items or sell products made from recycled or upcycled materials. Browse the directory at LocallyAustin.org or learn more about Shop Zero Waste. Climate progress is blocked by the men who are profiting from the burning of the planet. Explores how "clean money" is transforming capitalism. How to build your own tiny home using salvaged and reclaimed supplies! 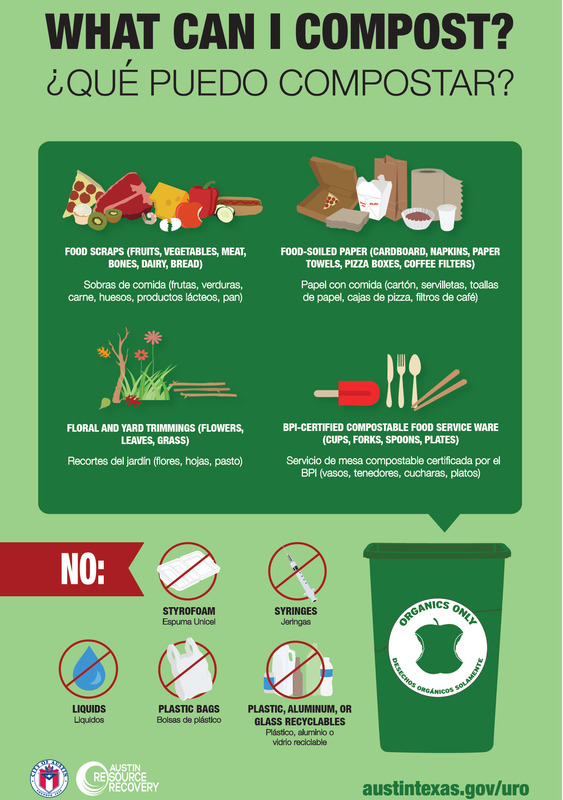 Step-by-step guide for reducing the use of plastic.